Danielle Raffaele has been dancing since the tender age of two years old, beginning her dance journey in the classic styles of ballet, jazz, tap and musical theatre. Upon arriving at TDC in 2011 she fell in love with the urban styles of contemporary and hip hop and has not looked back since. Working hard for the pre-elementary scholarship in 2012 opened up the opportunity for her to assist her most beloved style hip-hop, and later teach it. Danielle has a profound passion of the arts and is the arts captain of her school, involving herself in endless amounts of dancing troupes and drama activities. 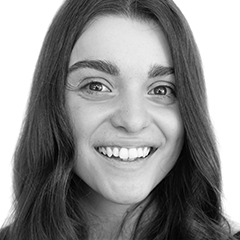 Danielle credits her early introduction into the performing arts, particularly dance, for her confidence and expressivity and wants to inspire her students to find this same confidence and sense of joy throughout her time with them.